In many ways it’s a beautiful season for me. I see His goodness bursting forth in all things. I adore this time of being more intentional in my relationships with my husband, children and friends. The days seem to move at a slower pace, a delightful pace of cherishing each and every moment. This season isn't absent of sorrow. My heart mourns the loss of someone I love deeply. I have learned that a loss can come in many different forms; it does not only come with death. I pray daily for the person I love to choose differently. I pray daily for God to teach me to extend love, even if it goes unseen, no matter how this part of our story unfolds. God takes us through different seasons. I believe in every season He seeks to reveal truth about Himself, give us new wisdom for our spiritual journey and leave us with a promise for more of Him. I see it in His letters to the seven churches in the province of Asia (Revelations 1:4) as I read the Book of Revelation. Each one begins with a picture of Him, then gives a warning and ends with a promise. It begins and ends with Him. I find myself wrestling with God at times over this season of less writing He has brought me to. The wrestle comes in the form of jealousy and comparison as my Facebook news-feed fills with beautiful posts written by others whom I adore. Jealousy and comparison is an ugly thing. It absolutely steals your joy. But He came to give us life to the fullest (John 10:10). So God doesn't leave me in the wrestle. He reminds me of who He is and who I am in Him. He extends gentle warnings through His Word. He promises more of Him if I choose to trust and obey Him. I trust in you, Lord. 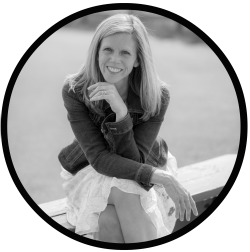 I was asked recently to describe what made me fall in love with Jesus and what makes me follow Him. My response came with ease but it also came with wet eyes. Love stories are usually told with wet eyes. It's for two words: redemption and transformation. 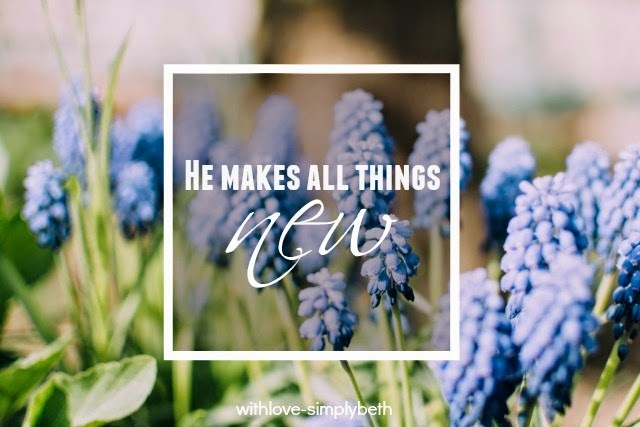 I witnessed how He redeems and makes all things new. You can read our story here. And His work of redemption and transformation never ends. There's always more: more ways we need to surrender to Him and more ways He wants to transform us. He is my hope . . . the hope for better. A life without Him would be a life without hope. A life without Him is one I will not choose. Maybe what I love most about this season is how I have fallen in love with Him all over again. As He becomes greater in my life (John 3:30), through devoted time with Him and In His Word, He performs new miracles. His mercies are new every morning (Lamentations 3:22-23). 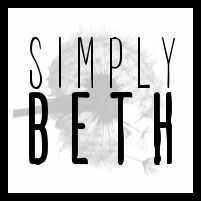 I come before Him with my fears, doubts and thoughts of unworthiness, and He says, "I'm not finished with you yet, Beth. Look, I am doing a new thing" (Isaiah 43:19). I have come to a place of knowing this season He has me in is the very place I need to be. I can see so clearly His love and goodness, even in the midst of sorrow. He will not waste this. There will be beauty on the other side. There will be a transformation. I know this with every fiber of my being because I have come to know Him. This is the hope I profess: He is faithful. He is good always. His love is never-ending. His arms are far reaching—nothing is too far off for Him to redeem and transform. It’s the hope which keeps my eyes and heart set on Him always. When He comes to my door He does not need to knock because the door to my heart remains wide open (Revelation 3:20). 1. Hubs and I have bought into many myths pertaining to debt. We are being challenged in a convicting and positive way through a David Ramsey “Financial Peace” course offered through our church. 2. God has much to say on being a good steward of money. 3. Taking the “Financial Peace” course means creating a monthly budget. Creating a monthly budget means allocating how and where you spend your income. Allocating how and where you spend your money means you come to the conclusion you don’t need to spend money on a maid. I surely did learn in April how much I miss my maid. She did a great job with the deep cleaning. I am slowly learning to enjoy again a daily routine of tending to our home. 4. I love that we are a part of the Army Reserves family. They do a fabulous job of taking care of their soldiers and their families. 5. Twenty-five years of marriage does not mean we have this marriage thing all figured out. Hubs and I are thankful for the chaplain-led program, Strong Bonds, offered through the Army. We enjoyed two days in Minneapolis last weekend focused on strengthening our marriage and connecting with other military couples. 6. When you get to Deuteronomy 34 after seven months of studying The Life of Moses tears will fall over the death of Moses and him only seeing the Promised Land from a distance. Even though Moses asked God to let him cross over to see the wonderful land (Deuteronomy 3:25), I imagine Moses was far more excited about his heavenly home with God. 7. I already know I am going to miss my Monday evenings with Bible Study Fellowship (BSF). My prayer is that the habits I have formed as a result of BSF stay with me throughout the summer months instead of waiting to take them back up again come September when we study Revelation. Time with God and in His Word should not be a seasonal thing but a daily thing. 8. An extra day or two was probably needed to ponder vow renewal plans before I pressed send on our Save the Date email. Once the email was out I had a panic attack over the number of people we had invited to our home. All is good though because God is good! We are likely making alternate plans to have our celebration elsewhere and thankfully our first choice for a venue is still available. It’s a good thing Save the Date’s don’t include details on the location. 9. Watching your children go through hard seasons is one of the most difficult things we do as parents. But God doesn't waste our suffering. Our family of four is growing closer as we walk through the hard stuff together. 10. My new favorite game is TableTopics. Our family stays in frequent communication these days via group text messaging thanks to this lovely game. I’m in charge of asking the question and then the men join in with their answers. I have 135 questions to choose from. Oh, what fun! How about you? 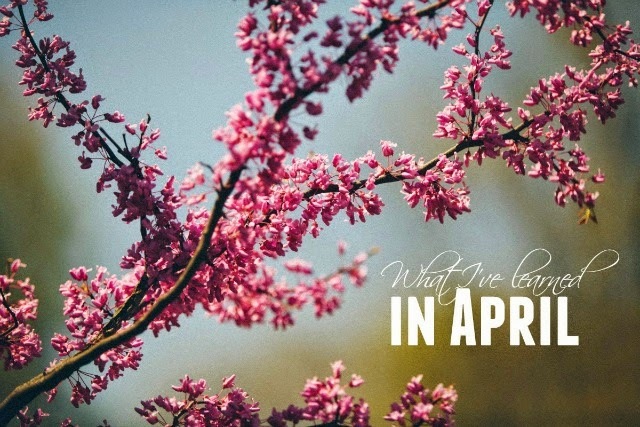 What did God teach you in April?